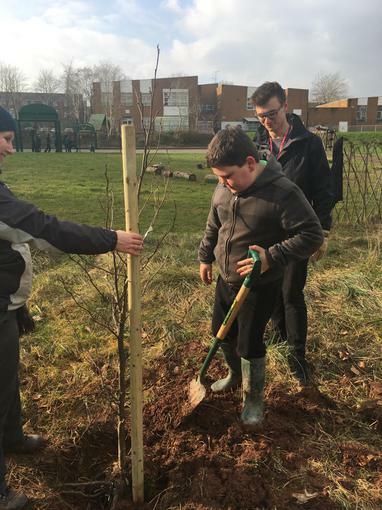 First Phase of Urban Buzz Underway! 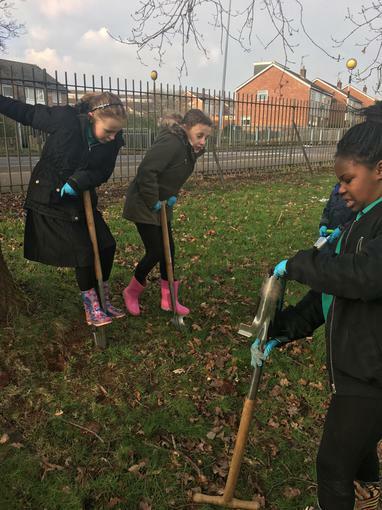 Outside is looking great as the Eco committee completed the first stage of their Urban Buzz project today. 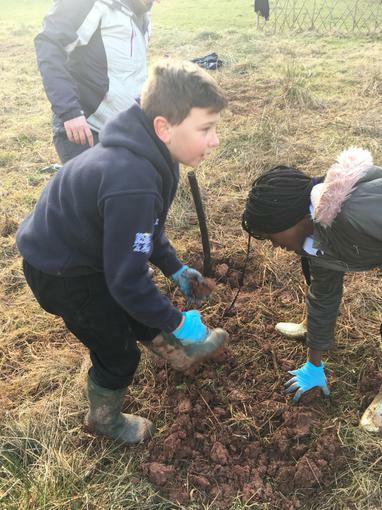 Michelle from bug life and Sue from the RSBP came along to help the children plant 5 new trees in the forest school area and 750 bulbs! Yes you heard right. 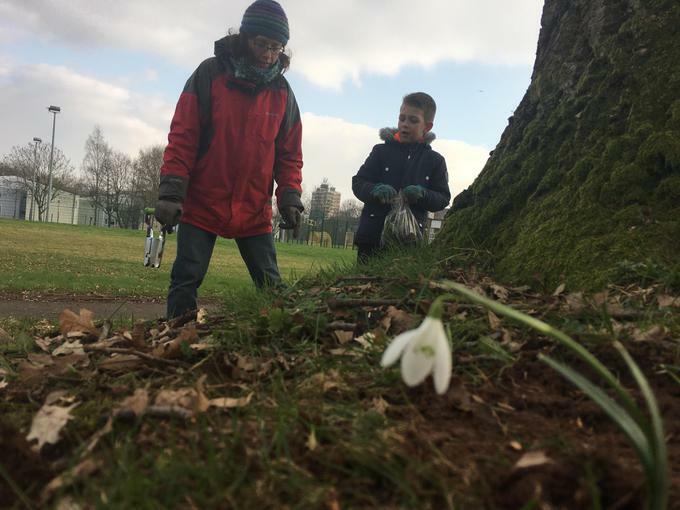 The Eco committee and Mrs Taylor's outdoor club children spent 2 hours planting the snowdrops, daffodils, bluebells and tulips all to entice bees and other pollinators to the school. It was really hard work but the area will look amazing for years to come as the beautiful flowers come back again and again. Our new trees are also in and will hopefully make the forest school even more exciting. 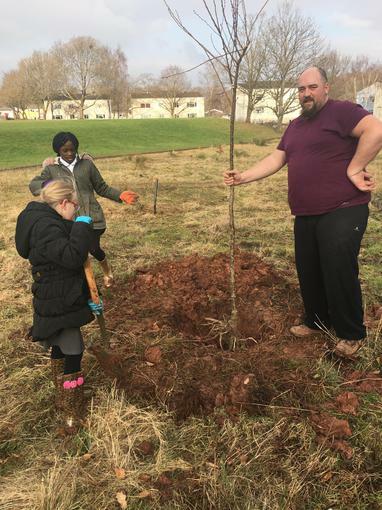 We have planted 2 Elder trees, one hazel, one birch and a cherry blossom, all of which will add to out Bee Friendly status and look gorgeous in the process. We can't wait till April now hen we will be planting our herb and fruit gardens! Watch this space.